Former Buffoons member shows no fear of playing the fool in solo showcase. 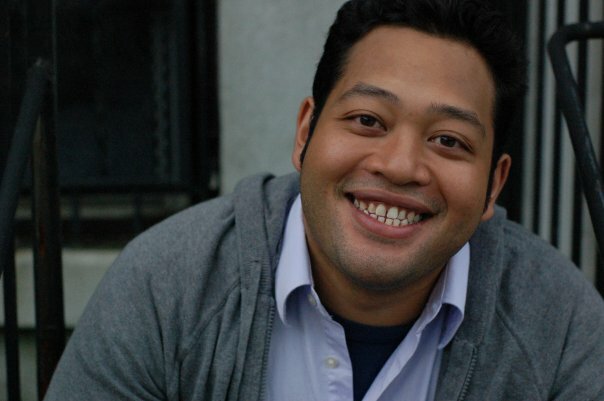 “Weird Birds,” Eugene Cordero’s short (25-minute) solo show, seen at the UCB Theatre June 17, is a showcase for his versatility and range of characters -- all a little hapless in one way or another. The character choices in “Weird Birds” aren’t as strong and surprising as Cordero has made in previously seen improv shows and with the sketch comedy trio Buffoons (with Bobby Moynihan and Charlie Sanders). But the show contains at least one highlight -- Cordero’s character, the Amazing Edmond, a drunken magician who mumbles and bumbles his way through a few rudimentary tricks, at one point becoming so exasperated that he starts explaining a trick he just did. The key is Edmond’s talking to his audience the same way a garrulous drunk in a bar might. “Weird Birds” is built around the concept of an open mike night, with Cordero playing all the different acts who are appearing. He introduces the evening with a little light stand-up material like an open mike host might, then switches to appearing in video clips, out of necessity, so he can introduce his various personas that he changes into while the clips play. It’s a little awkward, but there isn’t any other obvious way to do this. Cordero’s show works as opener for more involved or strident pieces, like the one it was paired with this night, Sanders’ “Minnesota Muslim” (see review, 11/15/08). It’s not clear what Cordero could do to approach the higher energy and edge of a piece like that, but not being an artist, it’s hard to imagine.